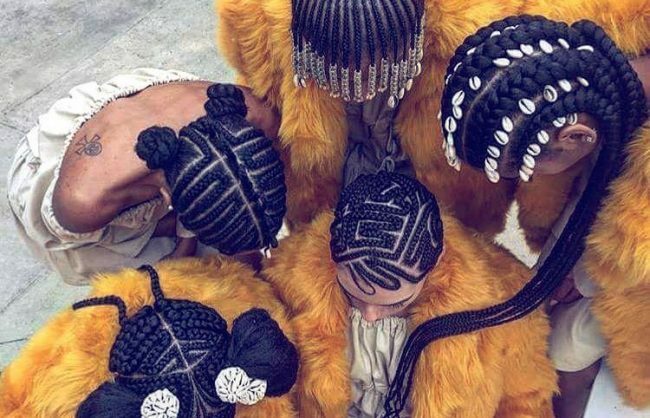 Box braids are truly one of the original G.O.A.T.’s of protective styles. 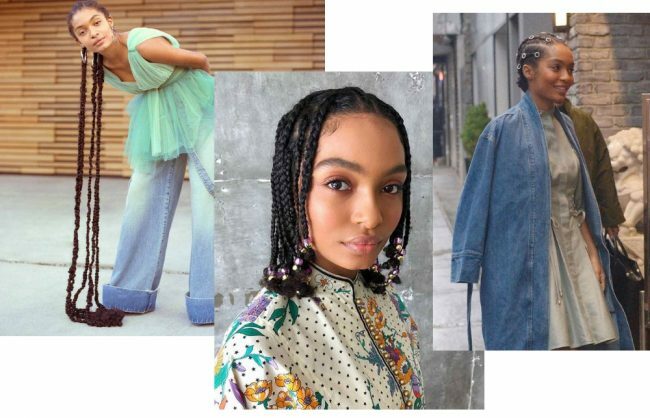 Whether they are long, short, multi or mono in color, there is no wrong way to rock this hairstyle. However, there is also nothing wrong with adding a fresh spin on a classic. 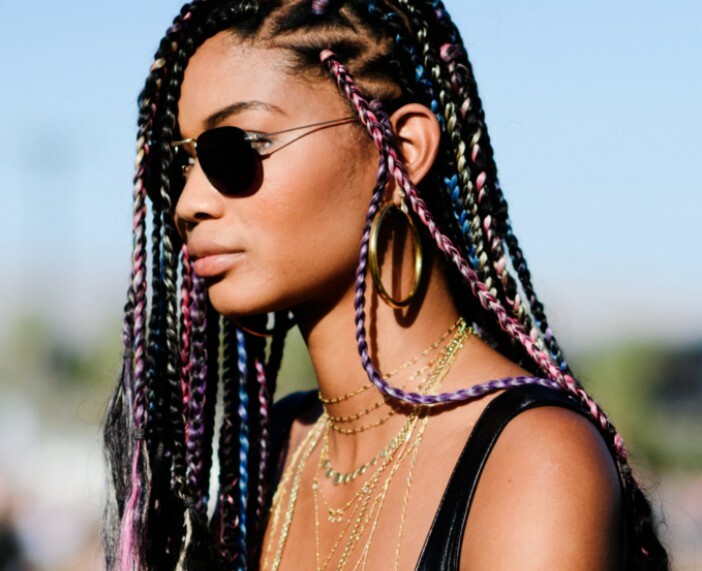 Are you getting bored of the same box braid style? If you are but are short on ideas, you should try playing with your parting pattern. 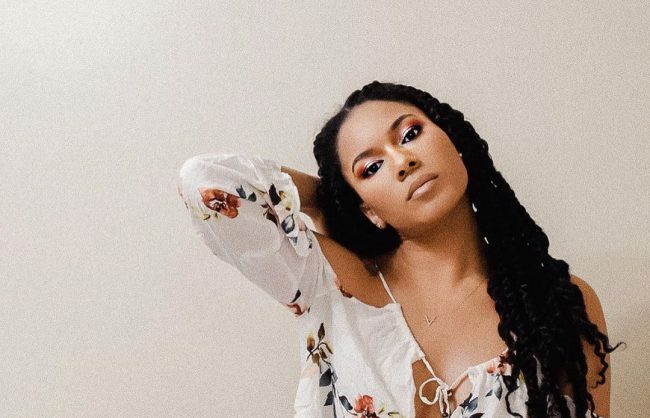 We gathered a list of unique parting patterns that will surely make you stand out and add some flair to your hair. 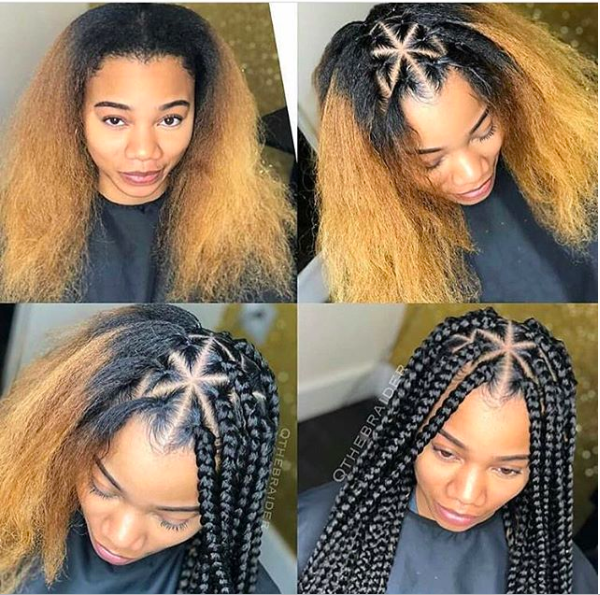 Similar to traditional box braids, start at the back of your head, parting your hair horizontally and work your way to the front. Using a rat tail comb, part each section diagonally to create triangle-shaped parts or part until your desired part design is achieved. Take your time so each section is precise. 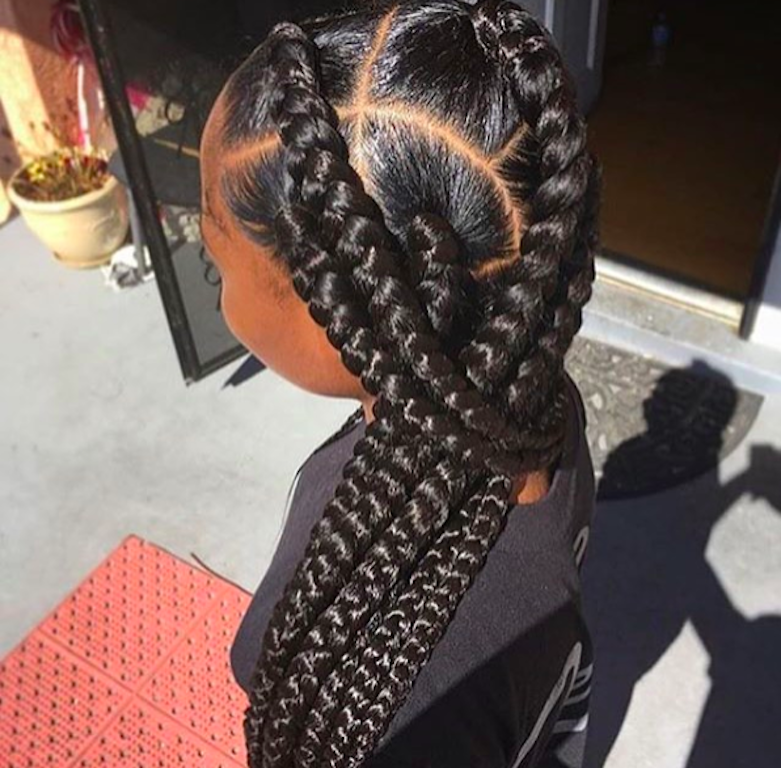 Then add gel and edge control to your hair and slick each piece into a rubber band for a smooth finish. Repeat until your entire head is complete. 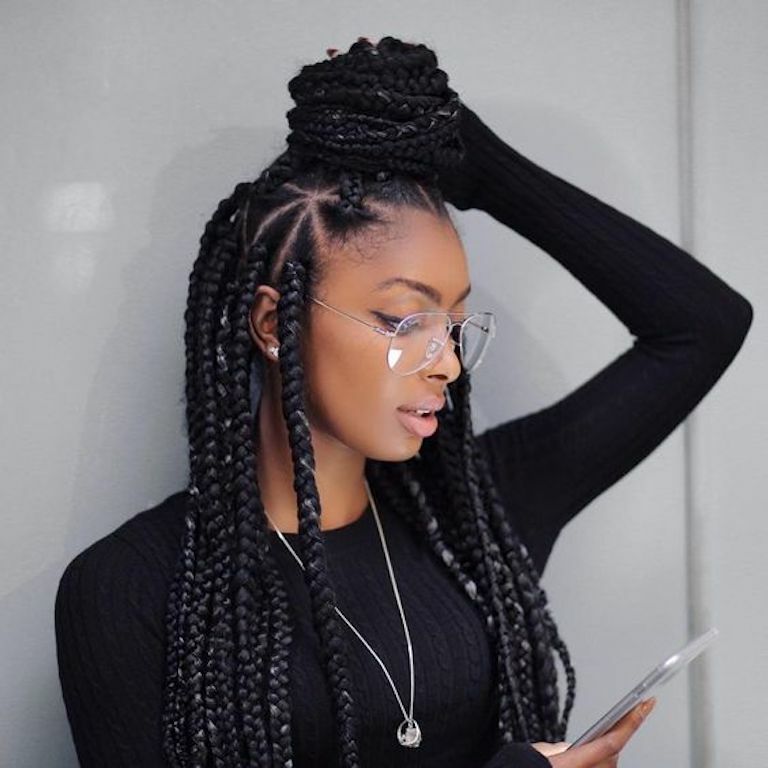 After all of your hair is parted in rubber bands, add in braiding hair (if you use extensions) and seal ends as you would normally. 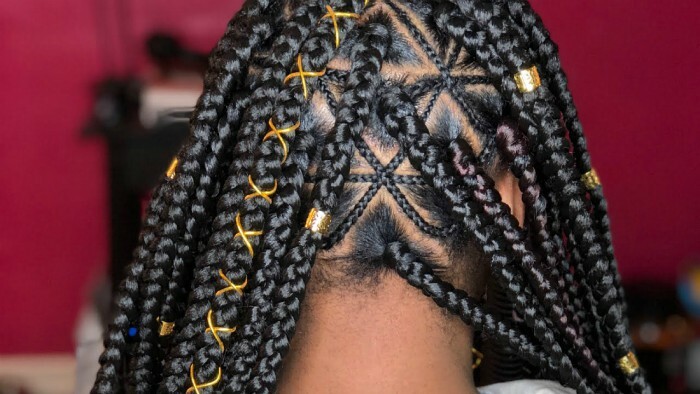 This is probably one of the simplest techniques of all the patterns; use the diagonal parting technique described above. These triangle sections can be large or small. 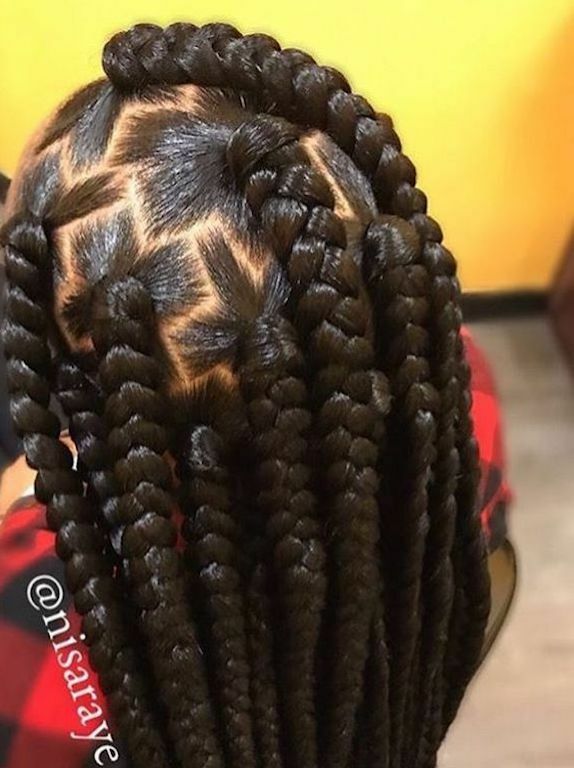 Similar to the triangle parting technique but slightly more intricate. It’s recommended to start parting from the sides/outer ear instead of the back, for symmetry. Tip: Use clips to keep hair separated as you create the design. 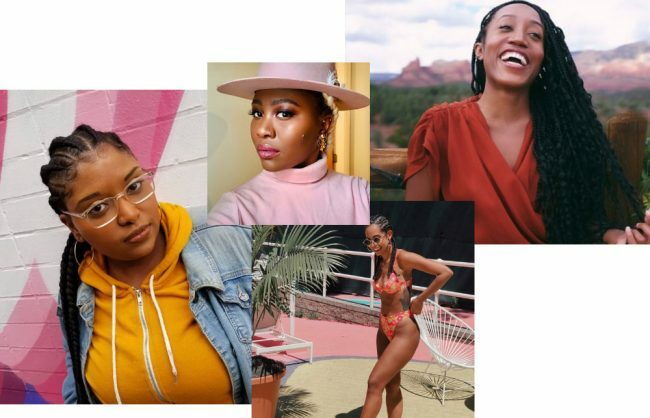 This style starts with a zig-zag line in the back of your head instead of horizontal. 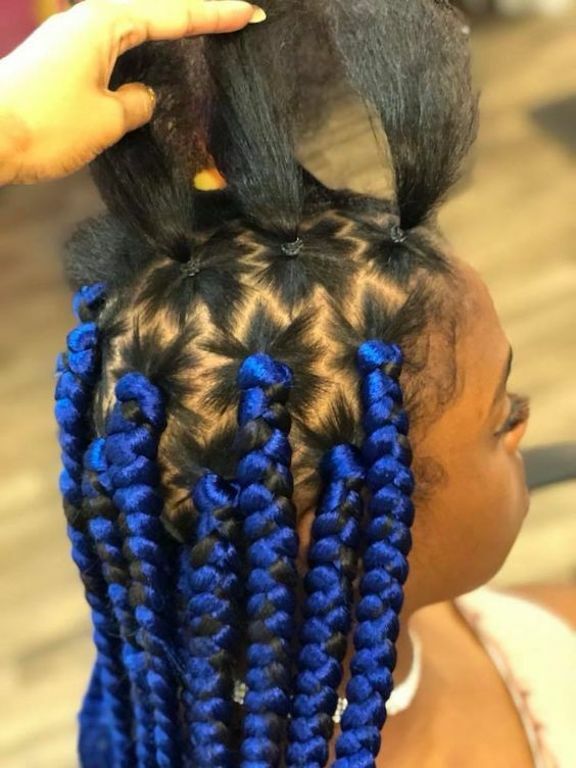 Create several small diagonal parts to achieve this fun look. 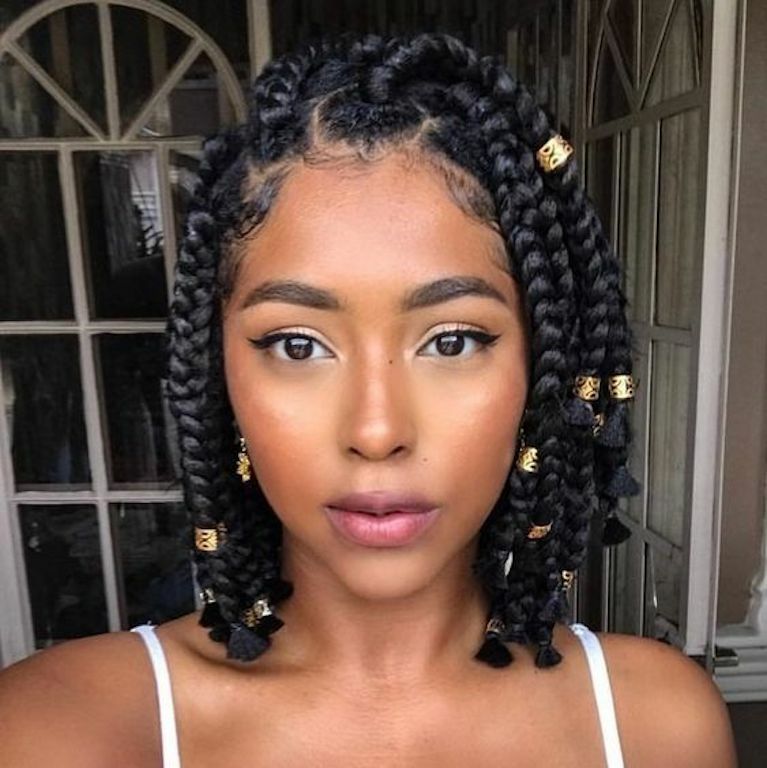 Tip: Make sure you wrap your hair at night so parts stay crisp. This style takes jumbo square parts up a level by adding extra sections to simulate the iconic cross symbol. Add grease and comb hair into your rubber bands as you separate for an even cleaner part. 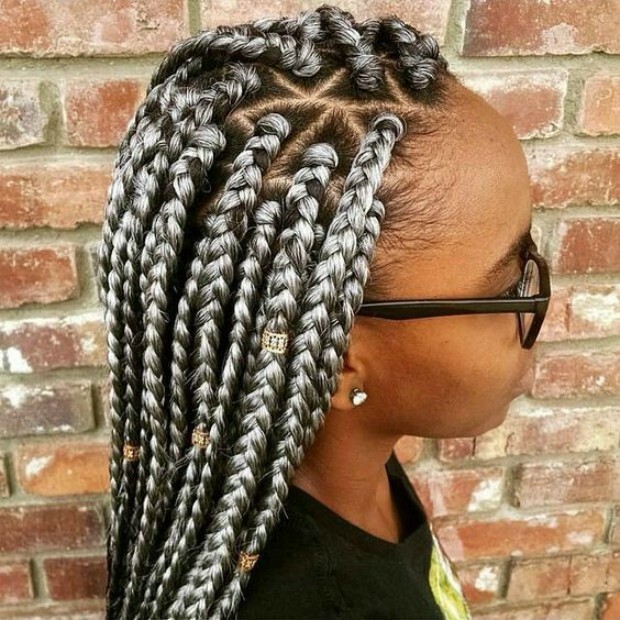 The spiderweb part is an intricate style that mixes cornrows with box braids. 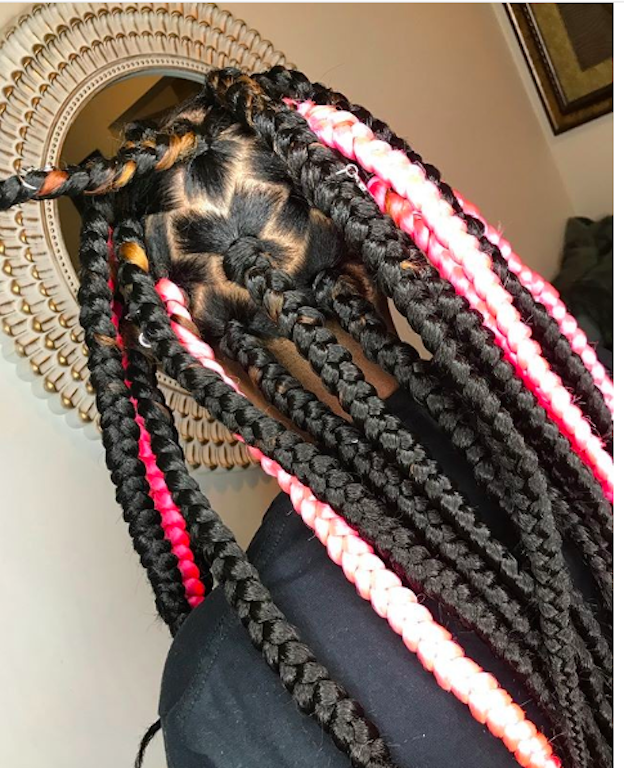 You can recreate it with any part shape, just pay attention to where your cornrows start and end so they blend into the part pattern. This parting design reimagines puzzle pieces, making sure each end of the part fits neatly within the other. This style begins with a zig-zag part across the back. This may seem odd, as the very idea of a part lends itself to a straight line, but check out these neat circular-shaped parts. Which parting design is your favorite?